Trump is giving the green light to not-so-green energy. It looks like U.S. President Donald Trump is keen to follow up on his campaign promises and reverse many of his predecessor’s established ways. Since his first day in office, Trump has started making key moves that undermine some of the efforts of the former administration, including several dealing with climate change. This week, Trump approved previously denied and shelved deals for the construction of the Keystone XL and the Dakota Access, two controversial pipelines that President Obama stopped from moving forward. 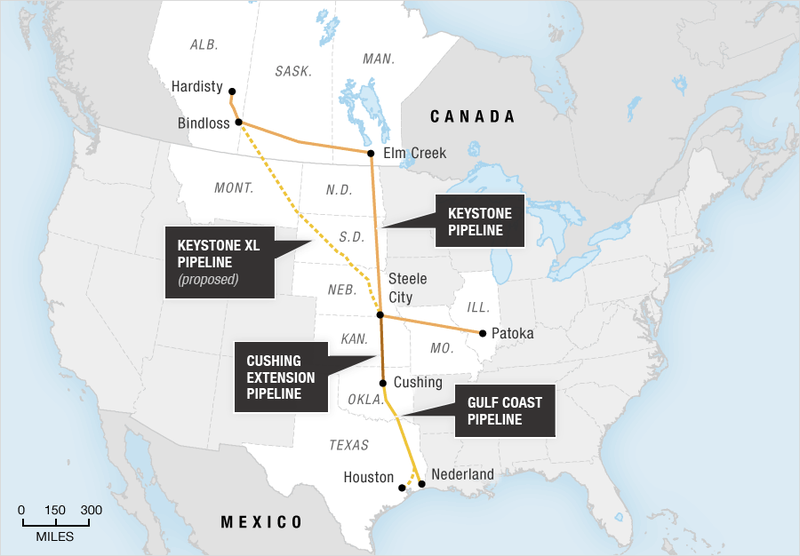 The Keystone XL pipeline is supposed to carry oil from western Canada’s tar sands and connect to an existing pipeline leading to the Gulf Coast. The Dakota Access pipeline, on the other hand, starts from the Bakken shale oil fields in North Dakota and moves through South Dakota and Iowa to connect to an oil tank farm in Illinois. The Obama administration previously refused to give a permit to Keystone, while work on the Dakota Access was halted following major protests by Native American groups and other activists. According to Trump, his administration is “going to renegotiate some of the terms” of the Keystone project. He noted that this will translate to “a lot of jobs, 28,000 construction jobs, great construction jobs.” The President also noted that he will expedite environmental reviews and approvals for infrastructure projects of high priority. “We can’t be in an environmental process for 15 years if a bridge is going to be falling down or if a highway is crumbling,” he said. As expected, Trump’s decisions have renewed the debate over the pipelines. Supporters of the projects argue that they will lead to energy cost reductions and create jobs. Environmentalists, on the other hand, point out the increase in carbon emissions these pipelines would generate in the long run, as well as the potential for spills. The arguments for employment and cheaper energy costs are very attractive and would seem to be promising at first glance. But is the oil and fossil fuel industry really the cheapest form of energy and does it provide the most jobs? Not according to the numbers. Trump claims that the Keystone project would generate 28,000 jobs. But according to Forbes, those jobs are largely construction-based and estimates can be very misleading as the work is often short-term. Analysts estimate 2,500 to 9,000 jobs. To put things in perspective, a report released earlier this year by the U.S. Department of Energy shows that all fossil fuel companies combined employed a total of 187,117 people from 2015-2016. Compare that to solar energy, which provided 374,000 jobs within the same period. As for costs to the consumer, industry experts and data analysts have shown that solar energy is the cheapest among renewable energy sources and is even already cheaper than fossil fuels. This trend is bound to continue in the years to come. Clearly, oil isn’t doing as well as solar energy in either arena. So what is the deal with the Keystone and Dakota Access pipelines, really? If President Trump is an environmentalist, as he claims he is, then maybe he can instead opt to back renewable energy projects. The U.S. is better off not getting stuck in the business of fossil fuels when everyone else in the world is beginning to gradually move away from it.